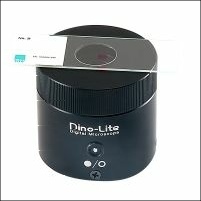 The N3C-A coaxial light cap is a useful accessory for the Dino-Lite Edge models from the Long Working Distance range. 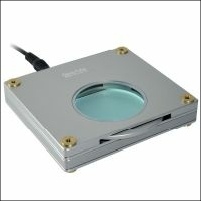 Especially difficult to inspect surfaces such as metal, plastics or glass benefit from this addition.Inside the small and light front cap an ingenious mirroring system with a beam splitter has been integrated. 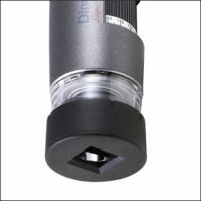 The coaxial lighting does also eliminate disturbing shadows making it easier to look inside small holes in the material being inspected.